We are looking for a talented and expressive girl aged between 10-14 to perform a voice over for a government animation project, educating children 9-12 years old about eSafety. We are looking for someone fun, clear, sophisticated and expressive to read a four minute (approx) narration. We are interested in hearing all accents/cultural backgrounds so long as there is an ability to speak very clearly and professionally in English. This voice recording will be used online for an educational animation and we will require rights in perpetuity. You will also be required to record a few paragraphs of introduction and conclusion for a version of the film tailored to people with sight limitations. The Voice Over record will be in a professional sound booth/studio in South Melbourne. Naturally, parents must attend the session. It is expected that the session will take approximately 2 hours depending on the ability of the performer. We require rights in perpetuity for online use unencumbered and the fee for the project is $300. Ideally you will have a professional voice reel to send us but we understand in this age group that is sometimes not possible. If that is the case, please send us the best voice reel you can create and we may ask you to record a demo of some of the script for audition purposes. 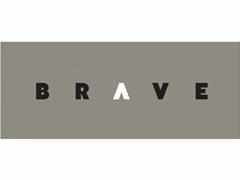 BRAVE is a prolific creator of government educational media and are industry experts in working with young performers in this sector. The session will be in the last week of January or the first week of February 2018.